My work was nurtured by numerous non-written sources which I discovered while traveling to most of the locations where the novel takes place, notably, in Cuba and the United States, as well as Guyana and Brazil (Counani is now a Brazilan territory). The Nantes History Museum (formerly known as the Salorges Museum) possesses a painting of the Némésis executed in 1889 by Edouard-Marie Adam (known as “Adam Father”) as well as a photograph of the three-master. In 1969, Mr. Arthur Olive used Adam’s seascape to construct a mock-up which is now exhibited in the same room of the museum. 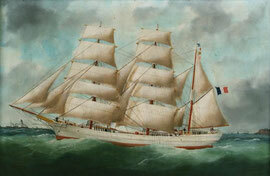 Another painting attributed to Adam and belonging to the Adrien family provided numerous details concerning the ship. The Couesnon Factory in Chateau-Thierry still manufactures copper musical instruments. Today the company is run by Mrs. Ginette Planson who kindly explained manufacturing techniques inherited from the era of its founder. The Factory in Paris, on the rue d’Angouleme (known today as rue Jean-Pierre-Timbaud), became the House of Metalworkers. Its architecture has been preserved and adapted to its new vocation as a cultural center of the City of Paris. Its history was described by Thomas Le Roux in 2002 in the article Le facteur d’instruments de musique Couesnon dans la Maison des Métallos (1881-1936). In the United States, I located in Selma and Smithfield the strategem that allowed the filibusteros to get rid of journalists and spies. The unusual proximity of these two train stations permitted a ploy that would no longer be possible, as common sense finally prevailed and the neighboring stations were combined into one, today known as Selma-Smithfield. The little town has forgotten the filibusteros’ passings-through. Their memory has been eclipsed in the heart of its inhabitants by that of the actress, Ava Gardner, who was born there twenty-four years later, and who is buried there. In Brazil, the city of Carsawene is now known as Calcoene. 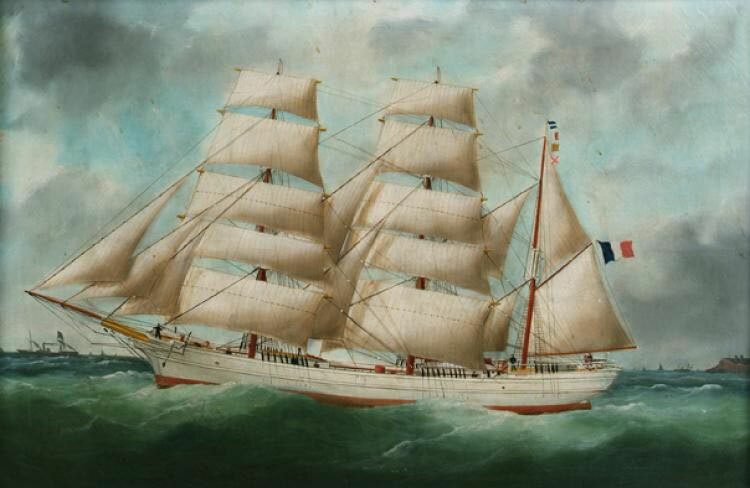 No one there knows of a family legend by which its name might be a deformation of “Kersaouen,” a Breton sailor from the Nemesis who died during the expedition. Personally, I put little stock in it, since the mention of the city of “Carsevenne” in the New York Times of July 3, 1895, appears two years before the Némésis's passage. 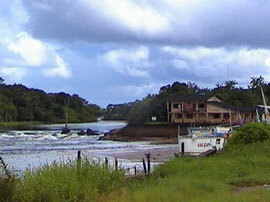 The article brings up the murder of Captain “Lanier” (Lunier), at “Mapa” (Amapa). If a sailor named Kersaouen had truly existed, he would have been on another ship. The sinking of the “Furor"
I received a particularly warm welcome in Cuba from specialists who made their archives available to me, most notably: the Municipal Historian of Ciego de Avila, Angel Cabrera Sanchez; the Historical Archives Director of Ciego de Avila, Mayda Perez Garcia; the Municipal Curator of Santiago, Omar Lopez Rodrigues; and the Director of the Historical Museum of the Isle of Youth (formerly the Isle of Pines), Yanelys Placencia Padron. 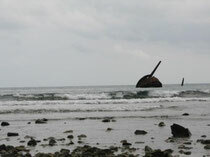 The wreckages of ships belonging to Cervera's Fleet, sunk on July 3, 1898, have withstood one hundred twelve years of storms and cyclones. With the help of fishermen from the nearby coasts of Santiago, I was fortunate enough to vist the underwater remains of the Oquendo, from which one rusted cannon of two hundred eighty millimeters still emerges above the waters. In 2009, Mrs. Sady Romero Cosio, daughter of Evangelina Cosio Cisneros (Gabriela in the novel), gave me the moving account of her story. I saw Mrs. Cosio again in 2010 after she had just celebrated her ninety-first birthday. She still lives in Havana with her niece Ketty Angel. Ch 1 "Remember the Maine"